Are you thinking about going on vacation with your cat? If you are, you might be a little stressed out about how that’s going to go. With good reason. Many cats don’t like to travel. They don’t like to get in carriers, and they don’t like to be in the car. In fact, it’s one of the major reasons people don’t take their cats to the veterinarian. They just are afraid that their cat’s going to be so stressed out, or that they won’t be able to get the cat in the carrier, that they don’t even make an appointment until their cat is too sick. 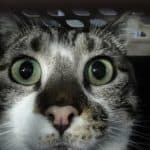 So, if you want to travel with your cat, and, you know you need to take your cat to the veterinarian. The best thing to do is prepare ahead of time. 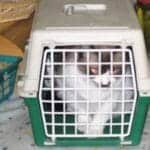 In this article, we will talk about where and how to put a cat carrier in a car. Because your pet’s comfort may vary with these facts. You will also know about the preparations for a car journey with your little pet. The safest place to put a cat carrier in a car is the back seat. Because it is a common scenario that in an accident front or rear side receive impact first. That’s why you should not keep your cat at the front seat. If you are using a loop carrier, you can easily use the seat belt to keep the carrier in place. 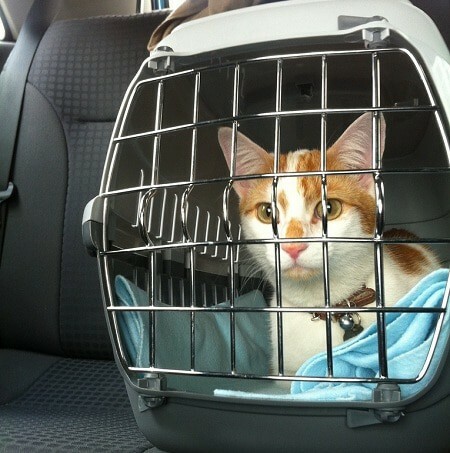 The cat carrier should be kept in the back seat with the help of the seat belt by keeping the carrier side face. When you put the carrier alone in the back seat, try to keep a lot of stuff around it to prevent it from falling down from the seat obviously by keeping the carrier in proper ventilated. When you are carrying two or three carriers you can also place them in the sideways or back on the floor between the front seat and back seat only if there is enough space in your car between the front and back seat otherwise your pet will get suffocation. Keeping the carrier here is a good idea if your cat does not feel uncomfortable. When you are traveling for a short period of time you can use a soft-sided carrier but if it going to take a long period of time you should take a hard-sided carrier. A hard-sided carrier is more secure than a soft-sided carrier for car traveling. If you are going with a hard-sided carrier, you can wrap the belt in the top side of the carrier and the bottom portion around the bottom of the carrier and keep it as stable as possible. In this way, the cat carrier sticks to the seat and no matter how hard you try, it will not wobble. Whatever the carrier you use, you have to just make sure the carrier keep attached to the car seat and try to wrap the cat carrier with the seat belt as firmly as possible. During the journey, you should never leave the cat in a parked car. If the weather is too hot it can make your cat sick. Apart from that, when your cat is alone in a closed car, it will feel suffocation. If your car trip going to be long, before taking your cat to the car you have to give it a light meal and also make sure it has pooped/peed. Before taking your cat with you, you have to give an ID tag or any other identification batch to your pet. You should put your cell phone number on ID tag so that you are reachable easily. You can also microchip your cat for safety. Microchipping is the safest option now. You will never want to lose your pet, especially on a trip. At first, you should purchase a carrier that you feel comfortable that you could be able to handle relatively easily. It should be a nice, solid carrier, and it should fit your cat. It can be a little bit larger, that’s not a problem. Then, make sure it’s not too small because it will be really difficult and uncomfortable for your cat in there. Plastic kennel type carrier is the safe option for you to use. The other thing is, get that carrier out at home, and make it part of your cat’s play time. Your cat should get comfortable with the carrier before traveling. You can put a soft bedding for your cat in the carrier. When you are leaving you should take extra food, water, plastic bags, small box, toys, medication, towels and pet wipes. The temperature of the car should be comfortable for your cat. In summer the air conditioner should keep running and in winter the cooler should be on. If the carrier is under the direct sunlight, you must take it under shade. Even if the air conditioner is on, the solar heat can make the carrier hot. But you should notice that the carrier gate does not get blocked due to shade. If it is extremely hot you can buy a cooling body mat. It should be available in the nearest pet shop. So, now you know how to prepare and where to put the cat carrier in the car. 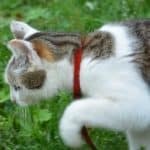 I hope this article will help you to enjoy a nice and peaceful car journey with your loving cat.